Returning to Oneness offers quick, practical, potent methods for integrating the mind, body, emotions, and spirit. Complex, esoteric information is presented in an uncomplicated way and encapsulated as seven keys of understanding, which are a foundation for the teachings of non-duality and prepare us for living in unity consciousness in the body. It explains why and how limiting states of consciousness, common to everyone in this world, (for example, the perception of loss and the fear of death), keep our chakras closed down, blocking the energy flows in the body and stifling our ability to function at our full potential. 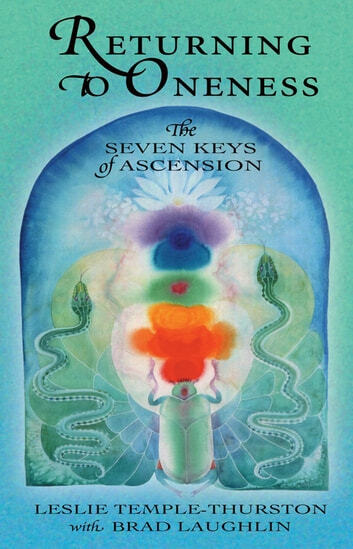 The seven keys are enlightened mental understandings, integrated states of consciousness, which have the power to open the chakras and restore the energy flows in the body. When used as a regular practice, the seven keys become highly effective tools for awakening the movement of the life force throughout the whole being. We experience full mental clarity, emotional balance, and luminous presence in the body. Our perception of life radically changes. We are no longer drained by or driven by negativity, fear, anger, or victimhood. The flow of life force, or kundalini, moves easily up to the crown chakra, connecting us with higher intelligence, and down to the root, eventually removing our fear of death so that the whole body-mind system functions in synchronicity with the Self. Each chapter reveals: 1. 1) How we hold a block, or limitation, in the body-mind, 2. 2) where in the physical body and in which chakra it restricts us, 3. 3) and the key to releasing it. 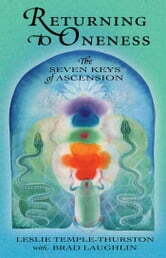 For example: The key to opening the fourth chakra, which is located at the diaphragm, is “Forgive all betrayals”. When we feel betrayed and victimized, our energy becomes blocked there. Learning to forgive life’s betrayals opens the diaphragm and third chakra, so that the kundalini may flow easily into the heart chakra and open the heart. Experiencing the open heart allows us to live in the state of love. It is helpful to memorize and use the seven keys daily whenever necessary. For example: 1) at the beginning of your meditation, 2) after a traumatic experience when you are left feeling unsettled, and 3) whenever you feel your energy is blocked for any reason. These are powerful, practical tools that you can take with you for the rest of your life, on your journey to the Self.